I am on a CentOS guest OS on a VirtualBox. I need to connect to this server through SSH using its public IP. More importantly, I need to connect to this server from within the guest host. I have tried port forwarding with NAT as some forum suggested but I think I am lost there. I am able to connect to the server through host machine. Make sure to forward your ports on your target machine. (Ensure that port 22 is open in your router) After this you may need to ensure that your ssh service is running on your target machine. Run this: "service ssh start" without quotes; or you can run "service --status-all | grep ssh" to check if it is already running. After these are taken care of, if you are wanting to ssh into a root account you may need to edit the ssh config file. 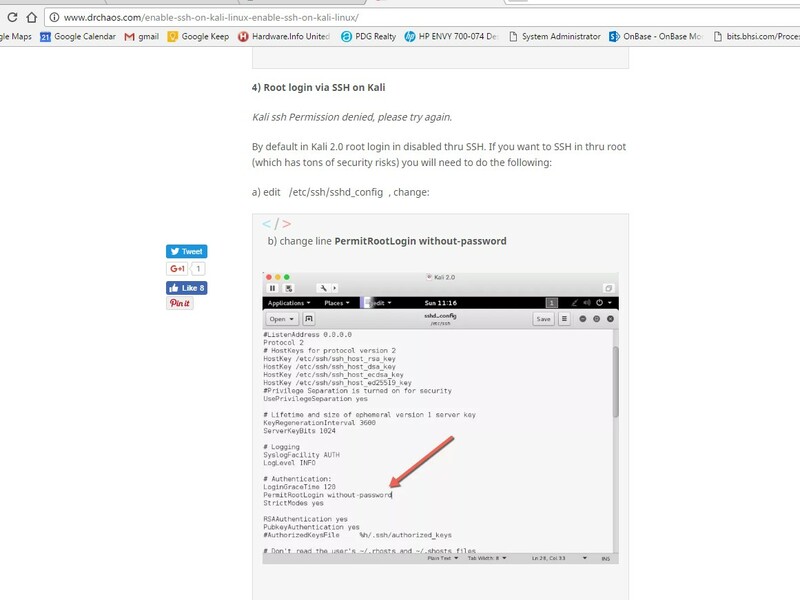 That link is for Kali but check step 4 where it says permit root login. Follow that step to enable ssh into root account. Once these are setup you shouldn't have any issues using ssh. Not the answer you're looking for? Browse other questions tagged ssh networking virtualbox or ask your own question. Why can't my host machine connect to my virtual guest machine via HTTP protocol?